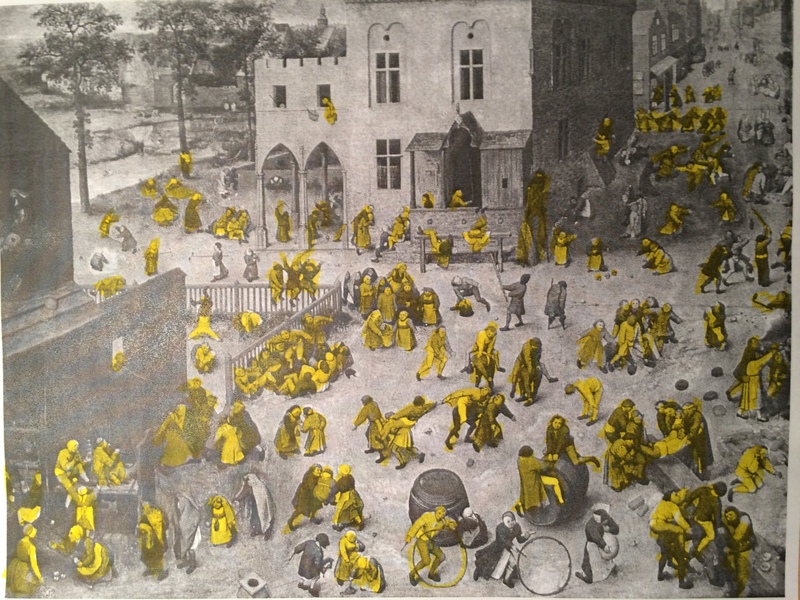 Recently we’ve been given the opportunity to examine first hand a very interesting copy of Bruegel’s Children’s Games. The painting is large – 28″ X 39″, seemingly painted on a single panel (or two panels), potentially painted on larch (birch). Below is the copy from ? What makes this copy so interesting is how it diverges from Bruegel’s original. There are many Children’s games that are missing from the copy, as seen in the illustrations below. This blog will document the research done on this painting to ascertain when it was painted, and potentially who painted it. We love a detective hunt! It comes to no surprise to any collector that a firm attribution to an painter positively impacts a painting’s value. But what does this mean in the world of Bruegel / Brueghel? The recent attribution of “Wine on St. Martin’s Day” to Bruegel the Elder from a previous attribution of Brueghel the Younger catipulted this painting’s value to 25M Euros if sold on the open market (1). 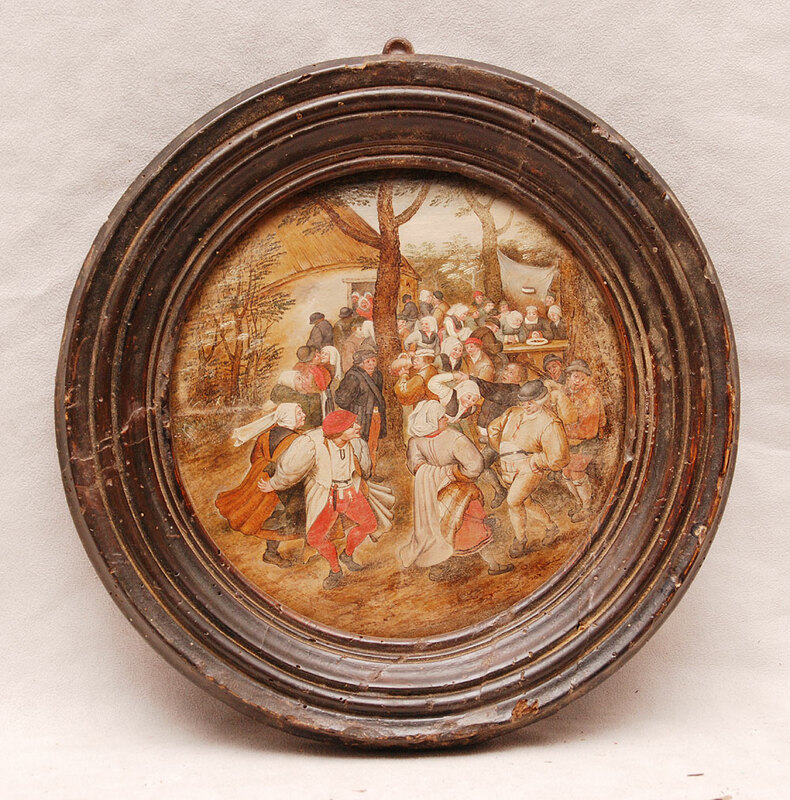 An upcoming auction for Brueghel the Younger’s “The Wedding Dance” at Palais Dorotheum on October 21, 2014 will test the value of attribution for his son, in one of Bruegel / Brueghel’s most popular painting motifs. In February of last year at rather rough looking painting of “The Wedding Dance” was put up for auction at Bill Hood and Sons in Florida in the USA. This work, “attributed to Brueghel the Younger” was estimated at $10,000, but on the day of the auction soared above the estimate to land at a sale price of $21,000. In the time since the auction, the painting was carefully restored, and the owner (or Palais Dorotheum, the seller) worked with the preminant scholar in the area of Brueghel the Younger, Klaus Ertz, to determine whether the work was an autograph Brueghel the Younger. Below is an image of the restored patining on sale at the auction. Of course it is not unusual to find a Brueghel painting in a public art collection, or in a private museum, or, increasingly, in the residence of a wealthy citizen of Russia. What is unusual is finding a Brueghel in an out of the way location. 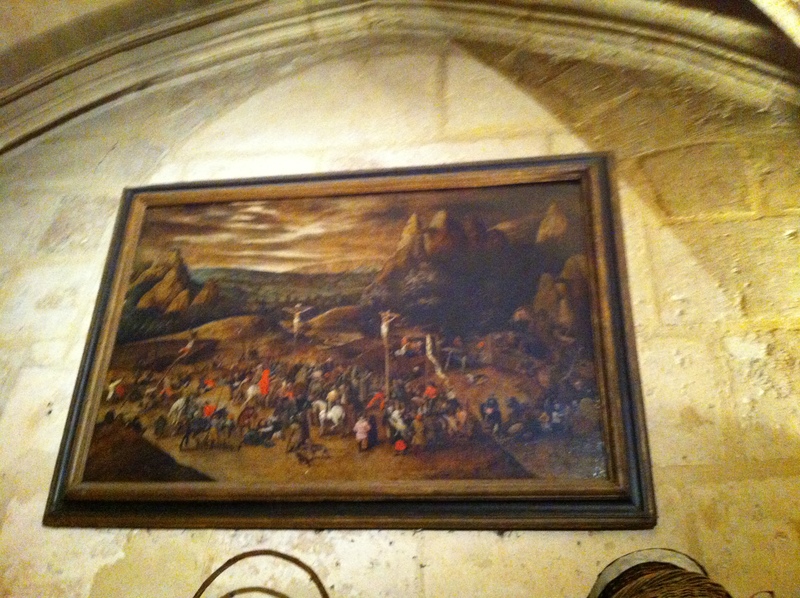 In what is perhaps the strangest setting in which I’ve seen a Bruegel, recently I visited the Church of Saint-Severin Paris’ Latin Quarter knowing that this church had a large format Brueghel, The Crucifixion. Upon entering the typically fairly dark interior of the Roman Catholic church, I scanned the walls for the painting. I wasn’t surprised that I did not see it, since I expected that it might be in one of the small chapels of the church. 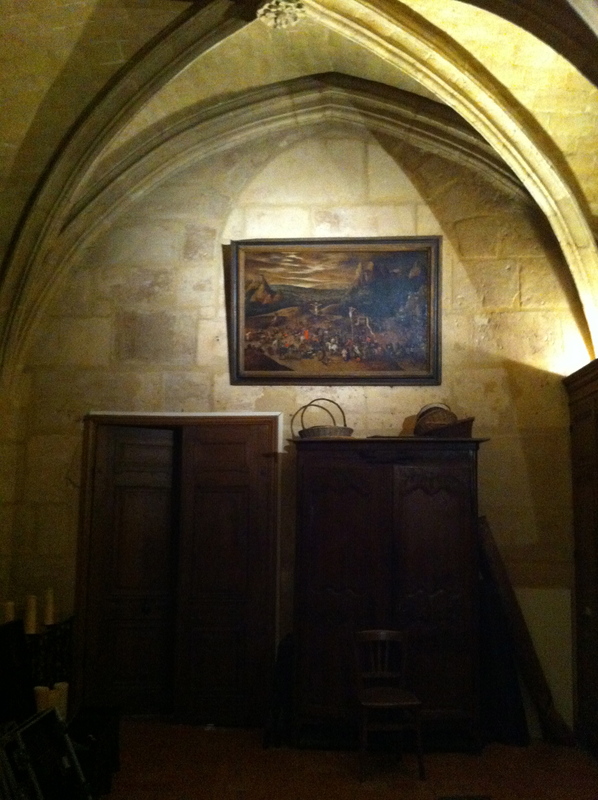 After circling the church several times and not seeing the painting, I noticed an open door into a sort of closet, or anti-chamber, where there was activity. It appeared that the church was preparing for a concert performance. Amid the activity I stepped into the small room, scanned the walls, and much to my surprise, just above the door to another room, was the painting. It hung approximately 15 feet above floor level and gleamed luminously. While members of the choir were running in and out of the room, I stood back and took in the painting. It was fantastic, large, and had the attributes of a typical Brueghel work. The painting is similar to other versions of the painting, showing Christ and two others being crucified in a large format landscape. A city extends further in the distance with the temple of Jerusalem. A field of wheat can be viewed behind the figure on the left. In the background two peaks can be seen connected by a natural bridge. Marlier notes that in this version of the painting, the sky is darker than in other versions. 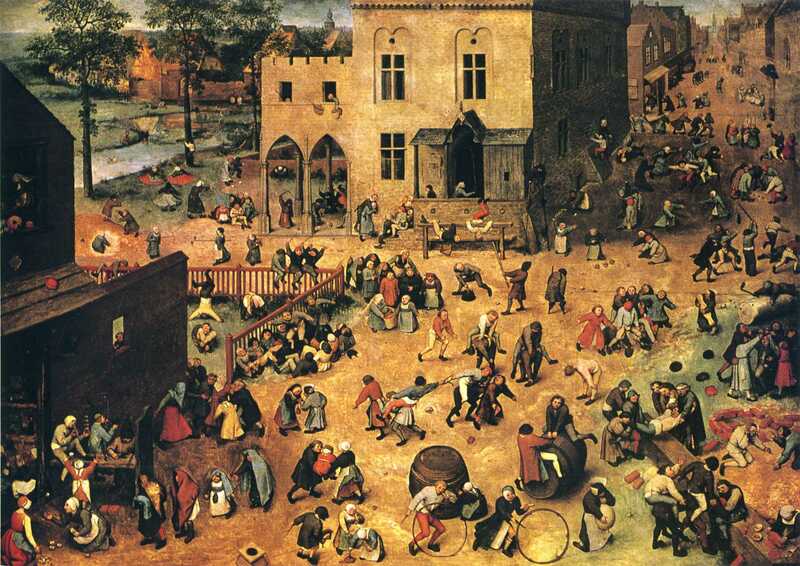 It is thought that this painting is a copy after a lost work by the elder Bruegel. As the activity in the small church room was dying down, it appeared that a concert performer was preparing to lock the door and wanted me to leave. I exited the room, and the door was closed behind me. I wondered if my visit hadn’t coincided with musicians preparing for a performance, if I would have been able to see the painting. It seemed like the door to this room was normally closed, and only happened to be open because of the performers preparing for the concert. In life, as with seeing Bruegel/Brueghel paintings, timing is everything. Particularly when there is a Brueghel in a broom closet-like setting. Paris is home to the only two galleries that specialize in work by the family of Bruegel. For those interested in Brueghel, these galleries are “can’t miss” opportunities. Fortunately, during a visit to Paris earlier this year, I was able to tour both galleries. The Galerie has been in existence since 1984 when it was established by Monika Kruch. I spent a wonderful afternoon with Jérôme Montcouquiol discussing the Galerie and all things Bruegel. Mr. Montcouquiol discussed with me the recently concluded and very well received exhibit “The Brueghel Dynasty”. The exhibit not only included works from the Galerie, but several private collections contributed works to the exhibit. 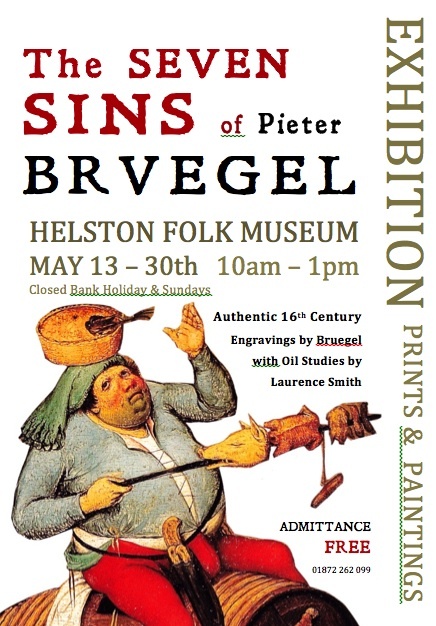 Included in the exhibit were works from by Jan the Elder, Jan the Younger, Pieter the Younger and others. 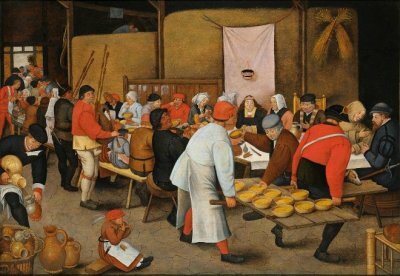 A highlight of the exhibit, and a work that can be seen in the Gallery, is “The Wedding Feast.” This version differs from many others (and differs from the version painted by Bruegel the Elder) in that two figures can be seen in the loft in the top left portion of the painting. We spoke about the Galerie’s upcoming exhibition in the Maastricht, Netherlands art fair, where the gallery exhibits each year. Mr. Montcouquiol indicated that they are looking forward to another outstanding show. The gallery only acquires works of exceptional quality, and strives to showcase works of the Brueghel family as well as major works of other artists of the period. Paris is one of two locations for Galerie De Jonckheere. 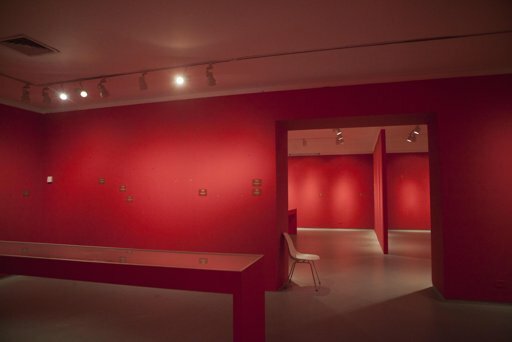 This galerie has been catering to Bruegel-related collectors for nearly 40 years. I spent a lovely hour in the Galerie speaking with the staff. 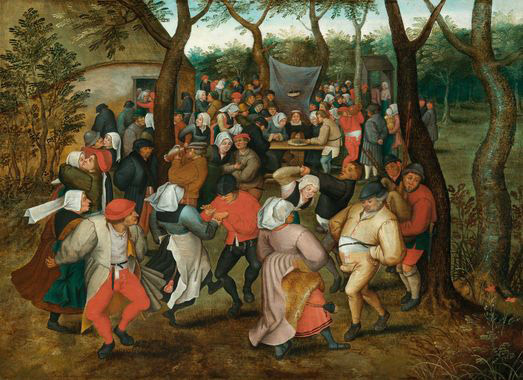 The Galerie has had both large scale and more intimate Bruegel-related works, including a wonderful version of the Peasant Wedding Dance by Pieter the Younger (see below). Collectors from North America, Europe and increasingly Russia frequent this gallery to view the latest additions to its collections. Like many galleries, locating quality Bruegel-related works is difficult in this internet-connected environment. After a new work is acquired, it is reviewed and cleaned to the gallery’s exacting specifications. The works gracing the Galerie’s walls are of the highest standard. The Galerie has experimented with exhibiting in New York (MANE) as a way to exposure new collectors to its work. 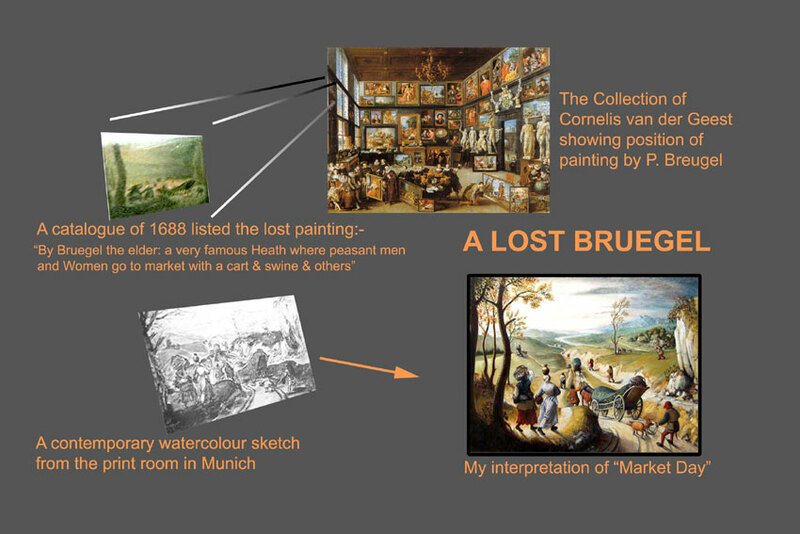 This sounds like an ideal way to ensure that new collectors are aware of the magnificence of the Bruegel family. The Galerie uses its own expertise, with the extensive expertise of Georges and François De Jonckheere, as well as occasionally calling in experts to authenticate works. In conclusion, both galleries offer outstanding works and are well worth a visit when in Paris. If you aren’t able to visit Paris, the galleries have wonderful websites that can provide a fine view of the current paintings on offer. Was this really a lost Bruegel the Elder painting that now only survives in a watercolor of the collector van der Geest’s paintings? Smith then contacted the print room in Munich and was able to obtain a color print of the watercolor. Smith found that the print had bits of color to distinguish different portions of the print, but it was not very helpful in discerning if the original was by Bruegel the Elder. If the work wasn’t by Bruegel the Elder, could it have been by his son Jan? 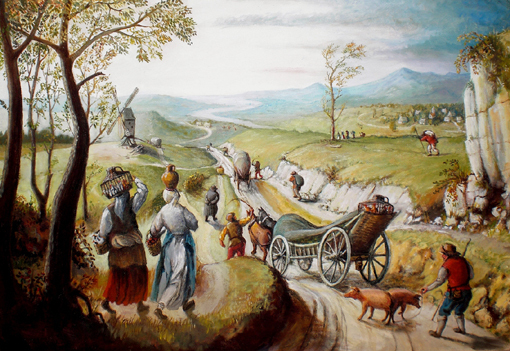 Smith studied the work of Jan Brueghel the Elder, and noted that he used the market day subject several times and also included similar images of peasants walking along a path in his other painting. Smith notes that the jug is shown in the watercolor without a hand supporting it, which differs from his other works. On the question of whether Pieter Bruegel the Elder initiated the design that Jan copied or whether the original in the van de Geest collection should have been attributed to his son, Smith notes that it is impossible to know for certain, but concludes that it appears to be a Jan original rather than that of the elder Bruegel. Based on my knowledge, I would concur with this conclusion as well. Currie & Allart’s “The Brueg(h)el Phenomenon” monograph set which I wrote about recently has been an invaluable resource in conducting research about a Pieter Brueghel III painting. As background, in preparation for a recent trip to Australia, I was interested in determining if any works derived from Bruegel the Elder were to be found on the continent. 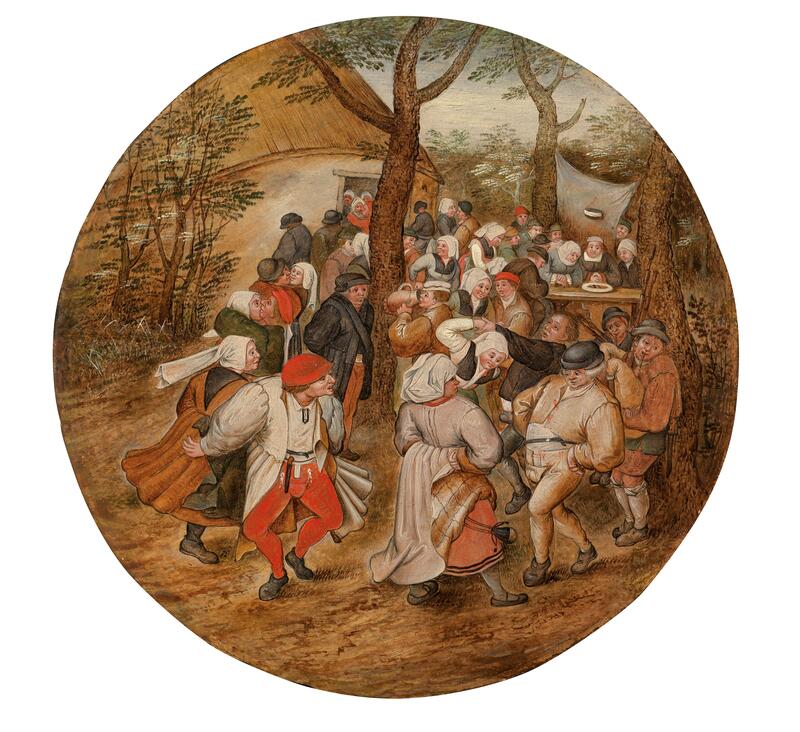 I learned of a “Peasant Wedding Dance,” attributed to Pieter Brueghel III, in the collection of the University of Melbourne. I’ve been interested in learning more about Pieter Bruegel III’s paintings, since there is little known about the artist or his works. I’ve uncovered no monographs about him, and scant bibliographic information is available. It seems that Brueghel III was born in 1589 and is said to have first worked in, then later taken over, the workshop of his father, Pieter Brueghel the Younger. 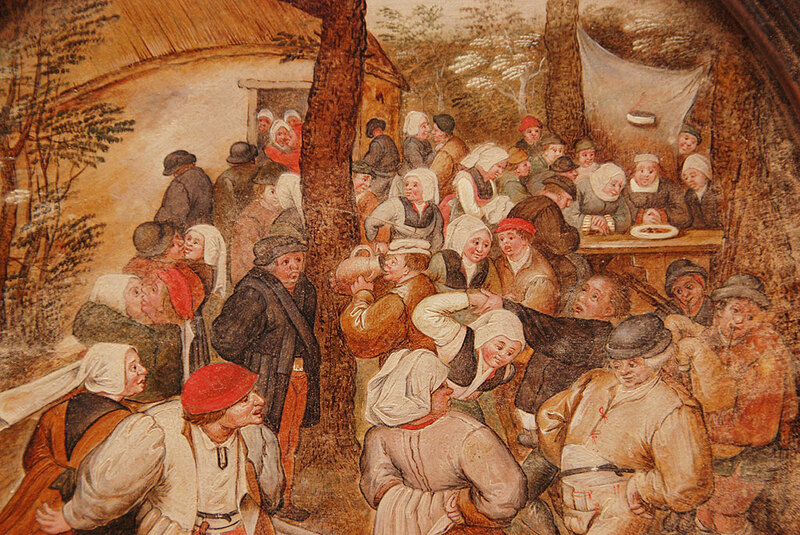 Thanks to Currie & Allart’s detailed description of the painting, I learned that “Wedding Dance in the Open Air” (which has the same figural group as “Peasant Wedding Dance”) was a popular small-format (approx.. 40 cm X 60 cm on panel) work for Brueghel the Younger, with over 100 versions cataloged. The Melbourne version does not appear in Klaus Ertz’s (2000) or Georges Marlier’s (1969) catalogue raisonne of Brueghel the Younger, nor in Currie & Allart. Viewing the painting in person, it is certainly “Bruegelian,” but lacks the subtlety and painterly expertise of the other Pieter the Younger versions. The work is particularly unrefined in certain areas, such as in the middle right section of the work with the men near the tree. Further, the color of the clothing of the dancers in the Brueghel III work differ substantially from the colors in the Brueghel the Younger versions. It is hoped that an X-radiograph can be created for the Melbourne work, which would provide additional insight. In addition, it would be helpful to view photographs of the reverse of the painting to learn if they would provide further clues regarding the creation of the painting. Finally, since the Brueghel the Younger versions were painted with a cartoon, it would be interesting to examine the work to attempt to determine if a scaled up cartoon was used. Thanks to Currie & Allart’s monograph, I was able to very quickly do further research into this rare and interesting example of a Bruegel-related work in Australia. 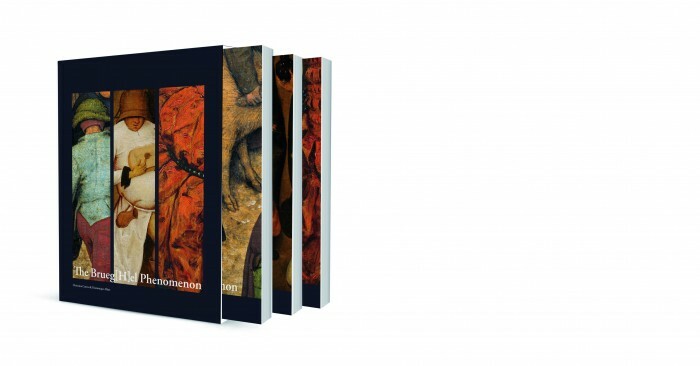 This epic, three-volume monograph will likely be seen as a watershed in the study of Bruegel / Breughel works of art. 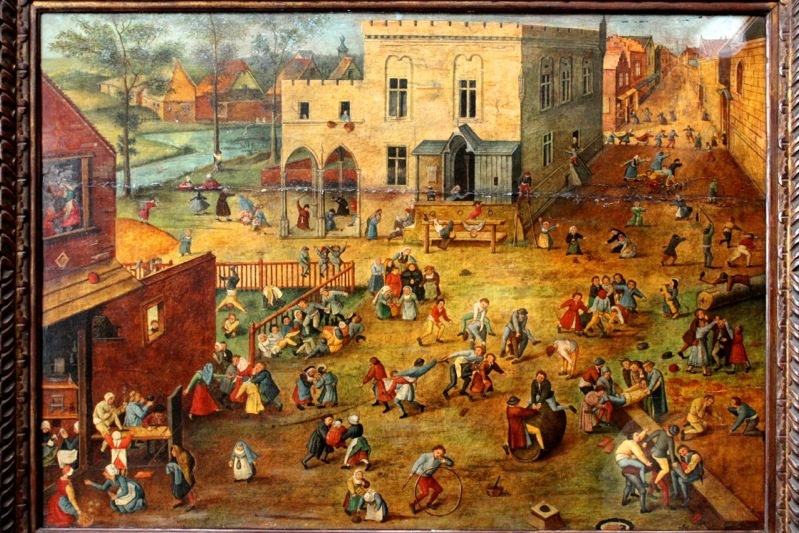 The Bruegel dynasty, begun by Pieter Bruegel the Elder and continued primarily by his son Pieter Brueghel the Younger and then grandson Pieter Brueghel II, has enchanted viewers for hundreds of years. While there have been countless monographs reproducing the Elder Bruegel’s work (and to a much lesser degree, the works of Pieter Brueghel the Younger), technical-stylistic examination of the father and son’s work has not been undertaken until now. This textual inquiry is accompanied by abundant illustrations bring to life the author’s hypothesis about the Brueg(h)el’s work and practices. The first volume reviews the artistic and cultural milieu in the late sixteenth century in which Bruegel began his career. A review of Bruegel’s work and posthumous fame follow, and while this ground has been well covered in the past, the author bring new insight due to the stylistic focus of their inquiry. Brueghel the Younger’s work is reviewed, along with a review of Brueghel’s likely workshop practices, which continues in the other two volumes. Brueghel the Younger’s long life allowed for a prestigious output of over 1,400 paintings, which necessitated a workshop of significant size. The meaning of signatures and dates on the works of Bruegel the Elder and Breughel the Younger are discussed in fascinating detail. Why were some works signed, while others were not? Works which are of similar quality are sometimes signed – and sometimes not. Were the signatures and dates on certain paintings placed there on a whim, or did the signatures and dates convey a greater meaning or a sign of quality other than the painterly indications which can be seen today. The painting technique of Bruegel the Elder is also contained in the first volume. The authors reveal for the first time that Bruegel the Elder was not consistent or uniform in his application of the painting’s underdrawing. The authors conclude that while some underdrawings are “sketchy and searching,” other align more closely to neatly created outlines of the completed painting. The second volume focused on the painting technique of Brueghel the Younger, and compares a number of paintings by the Elder and Younger. For example, over 125 copies of Winter Landscape with Bird Trap exists, with attribution of some by Brueghel the Younger secured, and others not. Intriguingly, some of the Brueghel the Younger autograph copies have a small hole directly in the center of the painting. Tantalizingly, the authors hypothesized that this relates to the copying practice of Brueghel and his workshop. The third volume focused on shedding light on Brueghel the Younger’s workshop practice. The author surmise that copying was done by tracing a cartoon. For the firs time, and in-depth discussion occurs around the number and nature of the cartoons used by Brueghel. Because Brueghel painted in a workshop setting, some works reflect greater and lesser degrees of he master’s hand. Determining which works had more or less of the workshop’s influence compared to the master’s direct participation is a central aspect of this volume of the work. The most revelatory aspect of this volume, and perhaps of the entire work, is the proof, after much previous speculation that neither of the surviving copies of the Fall of Icarus are by the hand of Bruegel the Elder. The authors prove that the copies are by unknown followers, most likely copied after a lost Bruegelian model. Over the coming weeks I will focus on some of the key aspects of this monograph. I hope that I will be able to convey some of the thrilling discoveries that authors bring to life in this fascinating study. A review of: “On the Trail of Bosch and Bruegel: Four Painting United Under Cross-Examination” edited by Erma Hermens, published this year by Archetype Publications Ltd. This publication brings together a pan-European investigation of four different, yet very similar, paintings in an exhibition titled “Tracing Bosch and Bruegel: Four Paintings Magnified.” The paintings, from the Kadriorg Art Museum, Tallinn, Estonia; The National Gallery of Denmark, Copenhagen; The University of Glasgow and a Private collection, look similar yet are very different. (You can compare the paintings yourself using the excellent exhibit website: http://www.bosch-bruegel.com/paintings_light.php?painting=compare) This fascinating monograph investigates the paintings from a variety of perspectives including working to answer such questions as which of the four paintings was the original. Starting with the province of the paintings, chapter 1 reviews the relatively short history of the four works. All are not traceable before than the 20th century. Three of the paintings are similar in size and format, with the Glasgow panel the exception with its portrait format. Virtually unknown before the collapse of the Soviet Union, the Tallinn work is the least studied of the works. Chapter 2 traces the roots of the composition, pointing out that without Max Friedlander’s attribution of the Copenhagen work in 1931 to Bruegel, this series would not be historically attached to him. Where the Copenhagen work (and to some extent the Tallinn version) are very Bruegelesque, the copy in Private hands and the Glasgow version are much more Bosch-like. The author persuasively argues that there is little Bruegel influence on the composition, with it being much indebted to Bosch motifs. This chapter is a wonderful encapsulation of the mystery of these four paintings. While the Private painting is likely the oldest, dating from the 1530’s, of the three large canvases, it is thought to be the least like the original model. The Copenhagen version, painted some 30 – 40 years later, is probably closer to the original composition. However, the Copenhagen version is not faithful to what was likely the original’s background, with the painting in Tallinn adhering more closely to the background of the original. Chapter 3 reviews the paintings’ materials and techniques of the studios where the paintings were executed. This chapter is especially engrossing for those coming to the subject for the first time, and features clear writing and fascinating illustrations, including presenting the method for separating a tree in order to make the planks for the paintings. The Private painting has a mark from the lumberjacks who cut down the tree, a rare example of these being visible on the reverse of a completed paintings. A discussion of the underdrawings and the ground used to prepare the panels for paint is also discussed in this chapter. Regarding the layers of paint, the authors conclude that three of the paintings had similar build up of layers of paint, with the Private painting being the exception due to its simple preparation. Fingerprints were also found in this version and not found on the others. Dating of the trees used to create the panels of the four paintings is a technique undertaken to assist with determining when the paintings may have been created. This process, called dendrocronology, was used in three of the four works. (Because the Glasgow’s restoration in 1987 introduced balsawood into the frame, it was not possible to attempt to date this work.) The authors note that the Copenhagen version’s planks were drawn from the same tree, which does not occur in the other two paintings. The authors conclude that the Private painting was made 30 years before the Copenhagen and Tallinn versions, within the lifetime of Bruegel but after the death of Bosch. Chapter 5 examines the underdrawing of the paintings to determine the “handwriting” of the art works. The authors use infrared (IR) imaging techniques, including infrared reflectology to examine the underdrawings. Material used for underdrawings typically consisted of black oil chalk, which provided an outline for the painter(s) to then follow as they applied the layers of paint. It was common in workshops of the 16th century to use a so called “cartoon” or drawing covered in chalk on the reverse side of the image, placed on top of a painting and then traced. However, only the Private and Glasgow version have the characteristic “trembling” of the hand that would indicate the use of a cartoon. The authors conclude that each of the four paintings’ underdrawings as well as final paint layers were all created by different hands, and none of the four are the master model. The authors even question whether a single master model was used, believing it possible that several different version of the painting were circulating among the painters studios over the 30+ years that the works were created. The authors conclude that none of the works were created in the same studio or with the same cartoon. However, they believe that a model was on hand to create the works, given the nearly identical full foreground composition. The 6th chapter discusses copying for the art market of the 16th century, and reviews the Antwerp art market of the time, which was said to employ twice as many artists as bread makers. Antwerp became a hub for production of copies, which accounted for fully half of the painted art output of the city during this time. There is not consensus among the authors regarding whether the works are a copy after a lost original, or a “phantom copy” (an invention made to look like the work of a popular artist). Because the coloring differs so widely across the four versions, the authors surmise that a drawing or cartoon was used. The author of this chapter concludes that the prototype was closest to the Private version, while as we saw earlier in chapter 2, the author surmised that various aspects of the Copenhagen panel was closest to the original. In chapter 7 the author argues the case for the paintings following a lost Bosch original, rather than a Bosch 16th century revivalist. The author bases this hypothesis on the iconography of the composition, which is compatible with Bosch’s “system of norms and values.” Bosch used biblical imagery from the past to comment on the Low Countries in the early 16th Century. Like in biblical times, the typically late medieval Dutch town shown in the painting is comprised of the poor, peasants and beggars. Bosch’s lost original compels viewers to “take to heart the word of Christ” to be saved. This monograph takes the reader on a fascinating detective hunt for the original and earliest version of the painting. For those interested in an investigation of this type within an art-historical context, this will be the perfect summertime read!